Our curriculum focuses on humanising work, and exploring how we work from the inside out so that we can make our boardrooms, classrooms and lounge rooms braver places to live, love, parent and lead. We work with individuals, teams and organisations at all levels across Australia. 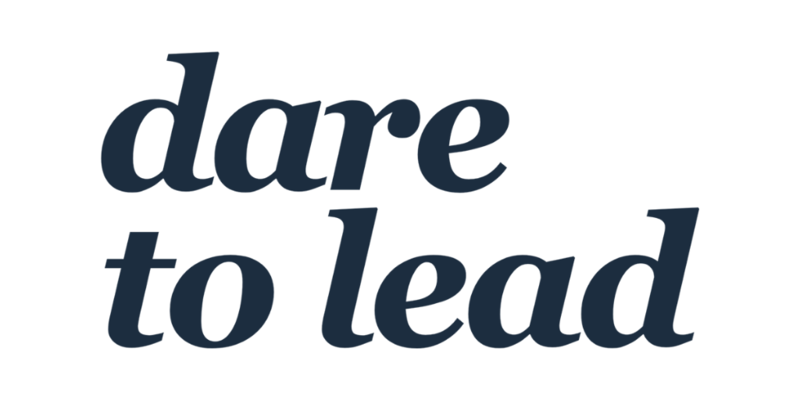 The goal of Dare to Lead is to share everything Dr Brown has learned about taking off the armour and showing up as leaders in a skills-based and actionable workshop and playbook. The Daring Way™ is a highly experiential methodology based on the research of Dr. Brené Brown. The method was designed for work with individuals, couples, families, work teams, and organizational leaders. It can be facilitated in clinical, educational, and professional settings. During the process we explore topics such as vulnerability, courage, shame, and worthiness. We examine the thoughts, emotions, and behaviors that are holding us back and we identify the new choices and practices that will move us toward more authentic and wholehearted living. The primary focus is on developing shame resilience skills and developing daily practices that transform the way we live, love, parent, and lead. Rising Strong™ workshop is a research-based program about what it takes for us to get back up, live a more wholehearted and satisfying life by owning our stories. By participating in the Rising Strong™ Workshop you will have the opportunity to explore how to live bravely every day by showing up in the various arenas of your life to become the best, most authentic version of you. Courage is the foundation of great leaders, teams and organisations. And it is comprised of a skill set that can be taught, developed and implemented. We can all be individually taught how to be braver in our lives, but nothing has the impact that collective courage can bring to a workplace. Rising skills: learning and growing from the failures, setbacks, and disappointments that are inevitable when we are brave with our lives. This workshop is best delivered within a team setting of up to 10 people. Words create worlds but research conducted at Stanford University has shown that 9 out of 10 conversations miss the mark. Without the ability to access the right tools, we all fall into set patterns that stop growth and limit solutions. Leverage neuroscience to move from conversations that miss the mark to conversations that trigger trust, growth and innovation. Maybe you’ve got a business itch you’d like to scratch, a possibility you’re pondering, or are teetering on the edge of leap. If you’re considering starting your own business, side gig, change career or would like to be a bit braver in your current working life, this session will explore what you need to consider, how to get yourself organised and put together the building blocks for moving forward. Equal parts inspiration, courage building and strategic planning we’re going to dive into what goes into taking a leap – practically, strategically, emotionally and financially. So often we wish we had more time to think more deeply about work that really matters to us, but we get caught up in day to day busyness. This session is about holding space to think and making plans to do. You will walk away with an action plan for your next steps. Let’s write your leap story together. All tickets also include a copy of The Leap Stories. Our working lives don’t exist in a vacuum. So how do we design our work practices, life commitments and personal aspirations to be the best business owner, leader, family member and friend we can be, without burning ourselves out? You are the most important asset in your business, so it’s essential you take time to understand what makes you tick, how your brain works and harness your energy flows. Getting clear about your priorities, strategic planning and working on purpose not only drives better business results, it makes for a happier human at the steering wheel. This session is about taking the latest human performance research from psychology, neuroscience, physiology, sociology, business management and leadership to maximise your focus, productivity, clarity and impact. Participants will spend time designing their own life map that maximises their peak energy performance times, and pairs it with time for reflection, rest and renewal, based on the principals taught in the workshop. This is a chance to work on your personal productivity and priorities to be the best business owner you can. By design this workshop is held in the morning, at the end of the week, which research shows is an ideal time to work on tasks involving new ideas and long range planning. No one teaches you how to be a parent. No one teaches you how to raise kids. And no one teaches you how to manage the emotional ups and downs of being a human – a little one, or a big one! We stumble through, hoping for the best, learning through the school of hard knocks, while juggling competing demands and our own personal challenges. This introductory workshop has been designed to equip parents with knowledge, skills and tactics to help us parent better. The world we live in now is different to the one we grew up in, and understanding what is it to be human has never been more important. While there is no one ‘right’ or ‘best’ way to parent, there are guiding principles based on how we are wired, how we operate as healthy individuals and how communities thrive. This evidence-based workshop has been created by bringing together research and practices across the fields of psychology, sociology, emotional intelligence and neuroscience. The last decade of social science research has given us powerful insights into understanding human behaviour, which we can use in our everyday lives to better love and lead ourselves and our families. If we want to raise our kids to be courageous in their own lives, to live authentically, to show up and be seen, to trust and be true to themselves, we as their parents, must show them the way. This workshop helps build our toolkit to build our way forward. Instagram is a powerful marketing tool for small businesses, enabling business owners to grow their audiences and their revenues from their mobile phones. This workshop will help nail the foundations of how you use Instagram with authenticity and strategic intent aligned with your brand, and do so efficiently. Full of insights and hacks to grow your voice, audience and your bottom line. Current usage and demographics – who’s hanging on the gram. Making sure your profile helps you put your best game forward, personal vs professional profile, standard accounts vs business accounts. So many businesses get this Instagram basic wrong and it’s crucial for encouraging followers! We dissect what makes a people hit the ‘follow’ button, and how followers convert to customers. We look at your visual voice and what it’s saying to your potential clients. We conquer the ‘what am I going to post today?’ gremlin. A few tips and apps to help you quickly and easily up the quality of photos you post – learn to polish your pics in under 30 seconds. Why, what and how? We dissect how the algorithm works and how we can make it work for us. Specific tactics to extend your organic reach – you don’t need to jump on the advertising wagon necessarily. The addition of Stories and live broadcasting has changed Instagram engagement and reach dramatically. We break down what makes a great story and how to go about creating one, including apps and hacks to bring them to life. Instagram is so much more than ‘likes’. We go behind the scenes of outward-facing vanity metrics and dig into in-app stats that you didn’t know existed that gives you the full story of just how engaged your followers really are. How do you convert followers to customers? You need tactics and a game plan, and we help you put it all together. After years of teaching, training, workshopping, retreating, advancing, seminaring, mentoring, coaching we’re building an online library of ecourse just for you! We’re bringing our collective wisdom and popping it online, so that you, no matter where you are, what time zone you’re in, what your schedule looks like, can up level your skills and savvy starting right now. Take a look at our current ecourse offerings and watch this space over the coming months as we build a studio full of classes that you’ll love. This is the content marketing course we wish existed when we were learning the digital marketing ropes in our corporate jobs. So we’ve put together all the really useful stats, frameworks and tools that digital marketers need to know about today. A creative and interactive ecourse for curious and entrepreneurial types, exploring your business goals, getting to what is essential, managing competing demands, planning, framing stress, and becoming the master of your time and energy.